began his racing career driving MG Specials. 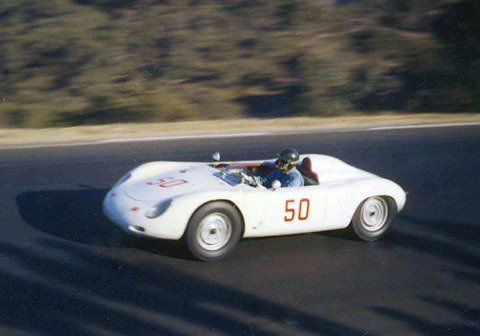 He went on to great success driving Porsche Spyders, mainly for Otto Zipper. Then he raced Cobras for Carroll Shelby on the factory team. He went on to the Ford factory team that developed the GT40. 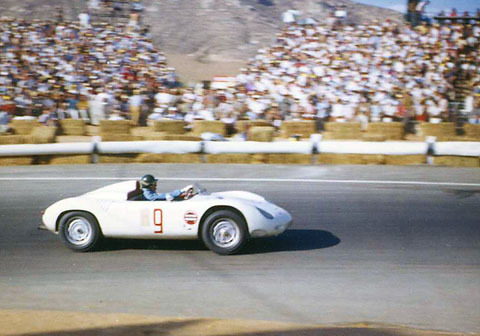 Miles at Laguna Seca, October 21-22, 1961, in Otto Zipper's Porsche RS61. Miles at Stead AFB, near Reno on Sept. 24th, 1961, this time in a Zipper-owned RSK. He finished 3rd. 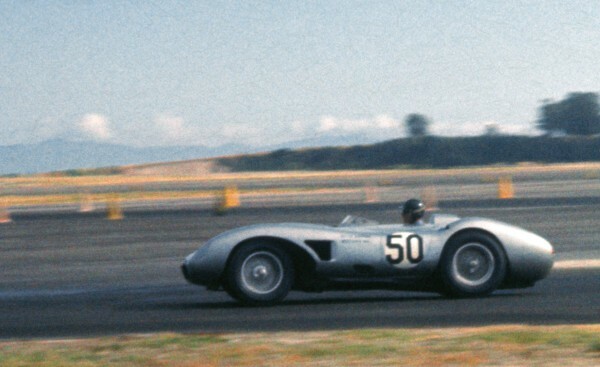 Miles won at Santa Barbara in the legendary Ferrari "Hot rod", V12 Testa Rossa power in the ex-John Von Neumann 625TRC #0672. 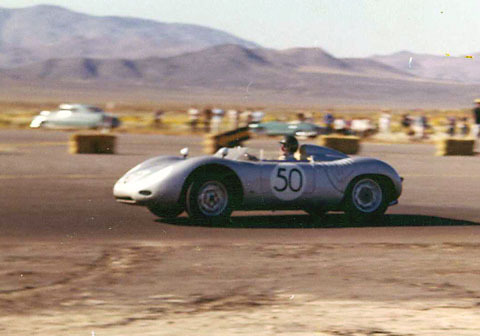 Miles out-raced and oulasted top competition from Bill Krause in a Birdcage Maserati, Jack Nethercutt in his Lotus Mk.19, and Bob Harris in the Chevy-powered, mid-engined Campbell Special. See Miles in action in this Ferrari at Santa Barbara in Movie #1! Thanks to "Barchetta" for historical information on Ferrari 625TRC #0672. More Ken Miles Pages 3-4-5-6! Next: Ken Miles (2) -- The Dolphin- Porsche!